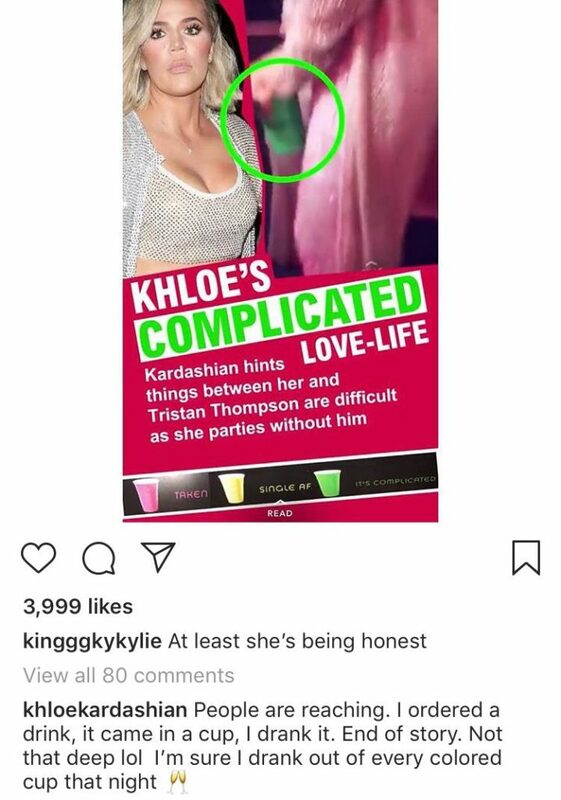 The reality star thinks people are "reaching"
Khloe Kardashian has responded to claims that her relationship with Tristan Thompson is “complicated”. The 34-year-old sparked rumours about her relationship when she was spotted drinking from a green cup at Kylie Jenner’s 21st birthday party over the weekend. The party cups were colour-coded to signify your relationship status – Pink was for “Taken”, Yellow was for “Single AF”, and Green was for “It’s Complicated”. 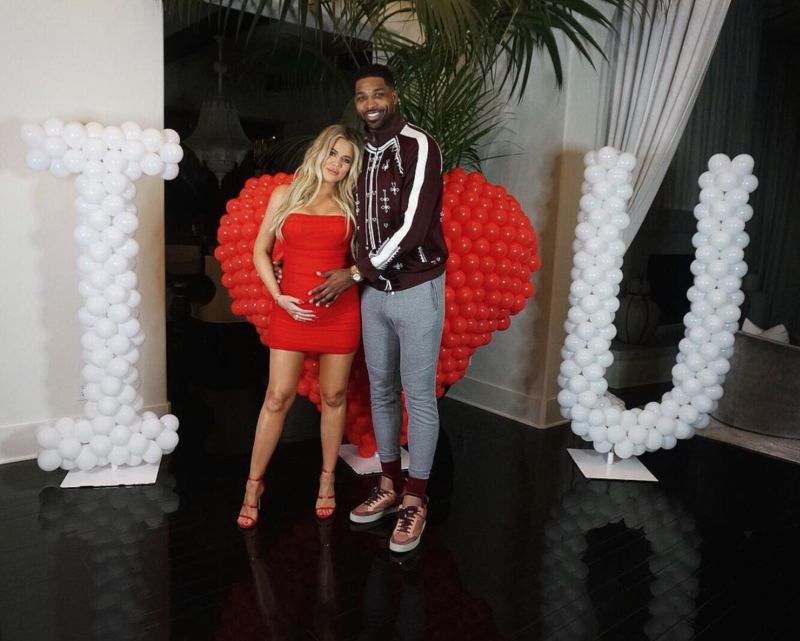 While many fans think Khloe was hinting at the state of her relationship with Tristan, she’s since insisted that this is not the case. Taking to the comments section on Instagram, Khloe wrote, “People are reaching. I ordered a drink, it came in a cup, I drank it. End of story. “Not that deep lol. I’m sure I drank out of every colored cup that night,” she added. Meanwhile, Khloe and Tristan are currently on holiday in Punta Mita, Mexico – where they’ve been joined by Kendall Jenner and her new beau Ben Simmons.